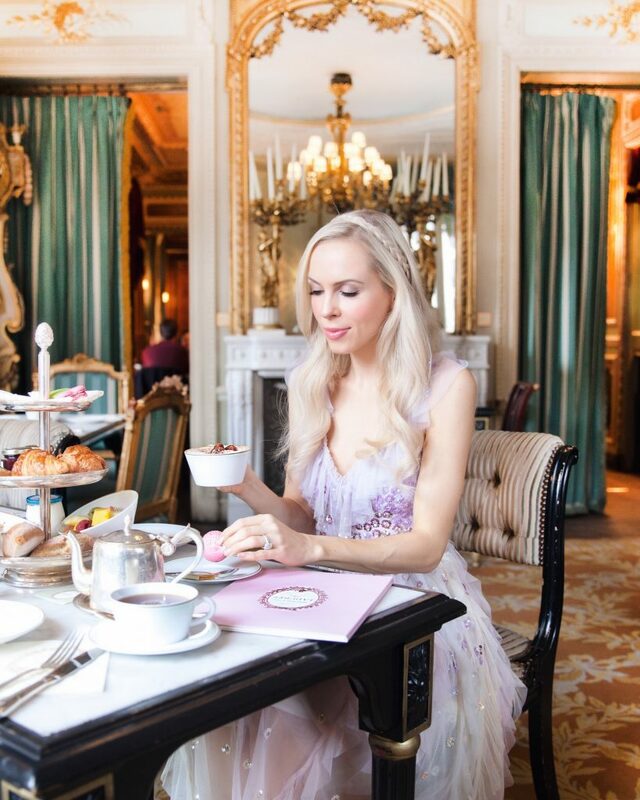 When you are a blogger in Paris, you must do a brunch at Laduree! I’m pretty sure it’s a law. So, I obliged. After all, when there is a amazingly embellished Needle & Thread Rainbow gown ready to pop out of the suitcase, she must make an appearance at the most perfectly matched spot! 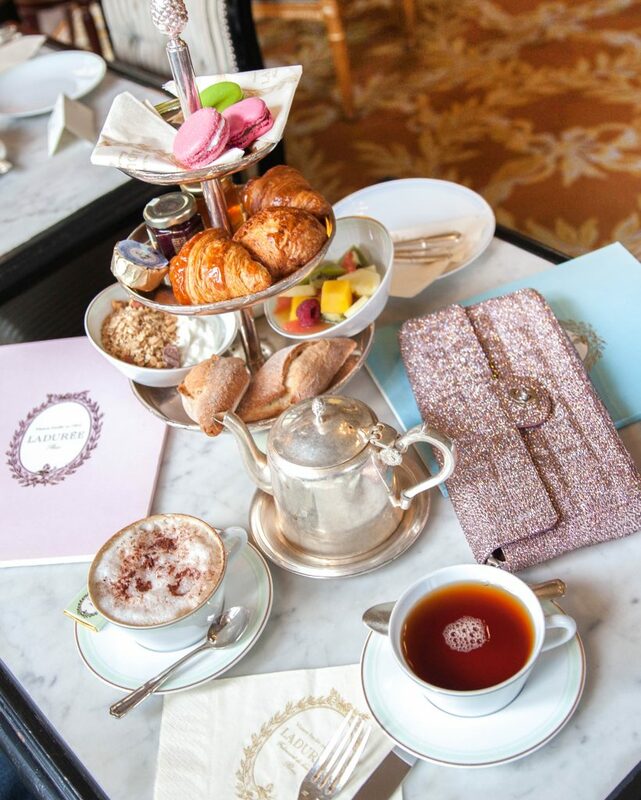 We made the earliest possible reservation, (which I highly recommend if you want to feel like you have the place to yourself), and indulged in all things Laduree. 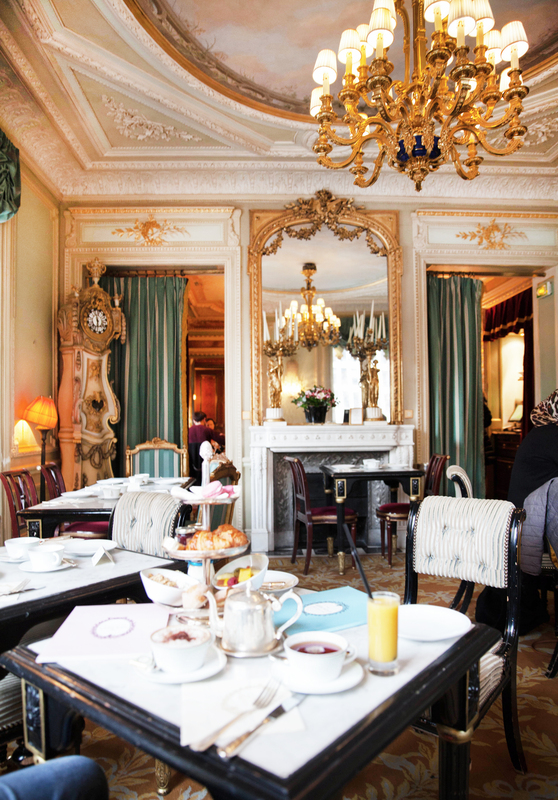 Lots of macarons and baked goodies and some delicious cappuccinos and tea. I also went with my new tradition of eating every piece of smoked salmon available in Paris (it’s just SO good there!) and my little salmon tart did not disappoint! After our brunch, we decided to explore the building a bit more, and discovered it was vast! By now there were crowd of people, and a huge line waiting to get in for lunch. Boy, did we luck out getting there early! We snuck past the crowd to discover a full bar downstairs with the dreamiest lighting and whimsical décor. With lots of plans ahead for the day we decided stopping for a drink would slow us down, so we just opted for a few photo ops instead. 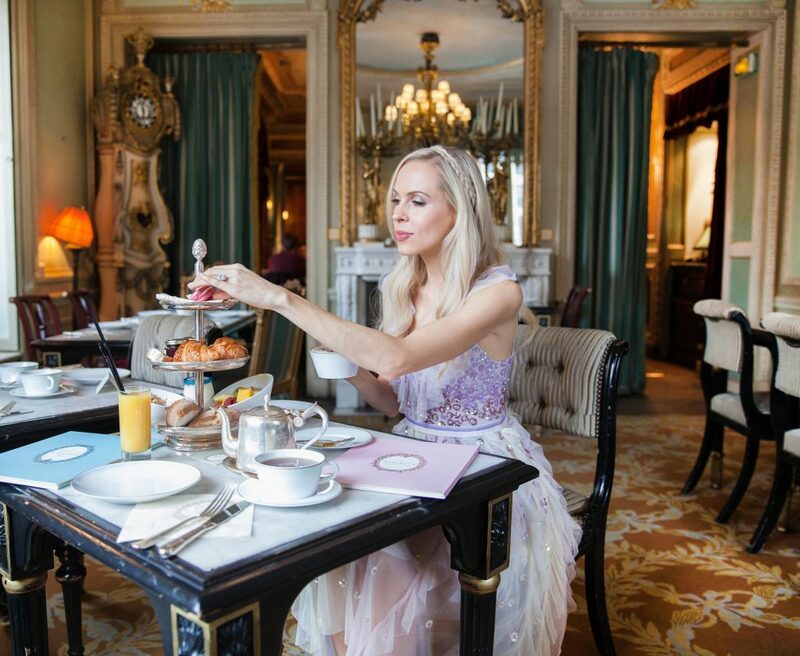 Caffeine aside, I was woken up all over again when I asked Eric to take a few more photos of my dreamy rainbow gown outside without my coat off. It was 39 degrees and passersby, bundled up in gloves and hats gave my spring twirl curious looks. I was the happiest icicle around though. Getting to do a rainbow spin in front of one of my most coveted spots in Paris was just what the doctor ordered! Thanks for stopping by and stay tuned for lots more Paris content! Loving this Needle & Thread rainbow gown? Click here now for more of my favorite style!